Sledge has expanded its O2 events team with the appointment of Samantha Golding. Golding has joined the events agency as account director after O2 reappointed Sledge to work on its conference and experiential events last year. She previously headed up the Vodafone account at The Marketing Store, and her experience also includes working on the 02 account (formerly BT Cellnet) with Knapp Godwin between 2000 and 2008. Graduate Laura Bowers also joined the team in January as an account executive. 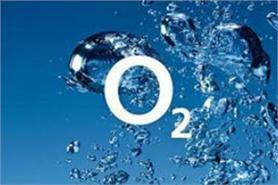 Sledge senior account manager Karen Swift said: "In terms of O2 account, we certainly anticipate a higher number of events this year. We have grown the staffing levels on the account in response to winning the pitch and the predicted increased workload." The appointments come after the news that Hannah Markland left Sledge in February. Sledge recorded a £212,764 operating loss in its financial year to the end of June 2010, but director Nic Cooper said he was confident of a profitable 2011 after winning additional business.